The word vicious usually makes people think of rabid dogs and sometimes their boss. Vicious makes us think of these Danner Men’s Black 13862 Vicious Vibram Sole Waterproof Boots. The vicious in this footwear comes from their outsoles. Vibram has been making ... (see full details) (see specifications) #DNN13862. The word vicious usually makes people think of rabid dogs and sometimes their boss. Vicious makes us think of these Danner Men’s Black 13862 Vicious Vibram Sole Waterproof Boots. The vicious in this footwear comes from their outsoles. Vibram has been making high-quality, reliable outsoles for over 70 years and that doesn’t stop with the Vibram Vicious. This outsole is oil- and slip-resistant to keep you on your feet. Also, Vibram outsoles are durable while reducing shock upon foot strike and lessening foot fatigue. A low-profile 90 degree heel makes climbing a cinch while wearing these waterproof boots. The 4.5” black uppers of these men's boots are manufactured from rich, oiled Nubuck leather that offers moisture control and durability. Nubuck leather is also super soft and gives a great rugged suede look to these black boots. Oiled leather has improved resistance to water, stains, and damage while remaining flexible. The 100% waterproof GORE-TEX liner is also breathable and will keep your feet dry even in extreme conditions. The heel cap is abrasion-resistant for durability, while the speed lace system provides a tight and secure fit. The lightweight and flexible Trailguard platform is the same great platform used in these hiking footwear. The last offers a roomy fit in the toe box, while the heel is contoured for a secure fit. An EVA midsole gives extra shock absorption and comfort when you wear these Nubuck leather shoes. EVA is a great material for a midsole because it is a soft, flexible, and lightweight. A Nylon shank helps provide arch support and forces the correct break at ball of foot. Admit it. Sometimes working can be brutal. (Don’t worry, we won’t tell your boss!) That’s why fierce work footwear like these Danner Men’s Black 13862 Vicious Waterproof Boots are a must. Just click on them and add to your cart today! 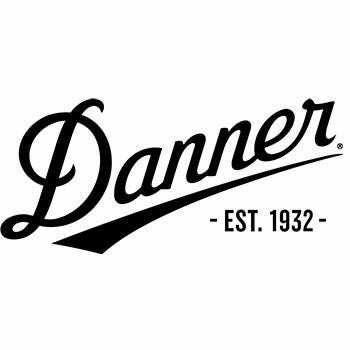 Danner Boots: Men's 13862 Waterproof Nubuck Leather Vibram Vicious Boots is being added to your cart.